Scientist and physicians have discovered everything there is to know about the body, right? Wrong! We only have hypotheses about how most of the human anatomy works. This makes the practice of being a Doctor quite tricky. As technology advances we are able to see smaller and smaller aspects which comprise our human bodies and this helps us understand the physiology. Recently new research has brought us one step closer to understanding the human eye. Dr. Harminder Dua, a Professor of Ophthalmology at the University of Nottingham, has discovered a sixth layer to the cornea, appropriately named, Dua’s layer. The cornea is the clear part of the front of your eye. It allows light to pass through the eye to the retina, located at the back of your eye, which constitutes sight. Until recently, the cornea has been thought to be made up of 5 layers. The epithelium, the front most part of the eye bathed in our tears. 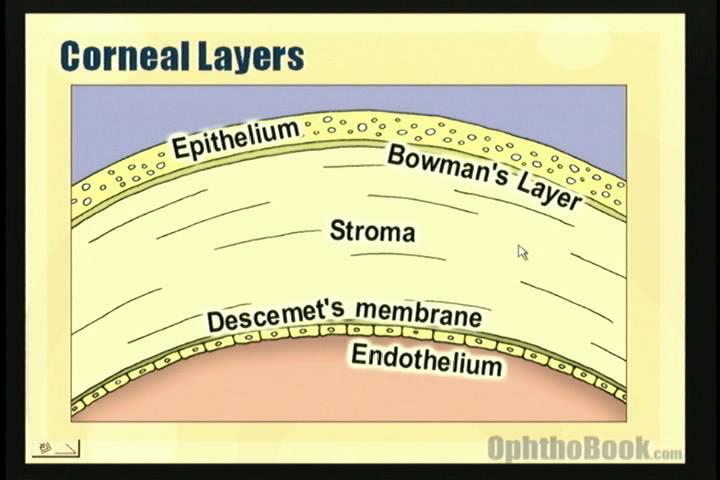 Bowman’s layer, lying just behind the epithelium, provides support. The stroma, which comprises a majority of the cornea, offers strength and resilience. 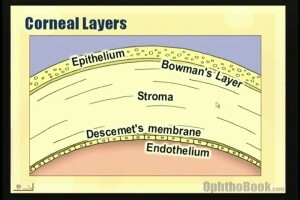 Next, behind the stroma, lies Descemet’s membrane, which separates the stroma from the endothelium. Lastly, the endothelium helps keep the right amount of water in the cornea. Now, the entire thickness of the cornea is on average 550 microns, which in lay terms is about half of a millimeter. That is very thin! Approximately 5 pieces of printer paper stacked on top of each other. Dua’s layer, fits snuggly between Descemet’s layer and the endothelium, coming in at only 15 microns thick. This new layer is thin and very resilient, and possibly contributes to some problems that occur after cataract surgery. The picture below was taken at the UIW Eye Institute in San Antonio, TX. It shows a section of the cornea, so we can evaluate its thickness and curvature. This is just one aspect of optometry that makes it a challenging but rewarding career. As new research is released optometrist have to learn and incorporate these findings into their practice to provide the highest level of patient care. Never stop at what your professors say or what your books read, there is always something more to learn or discover! 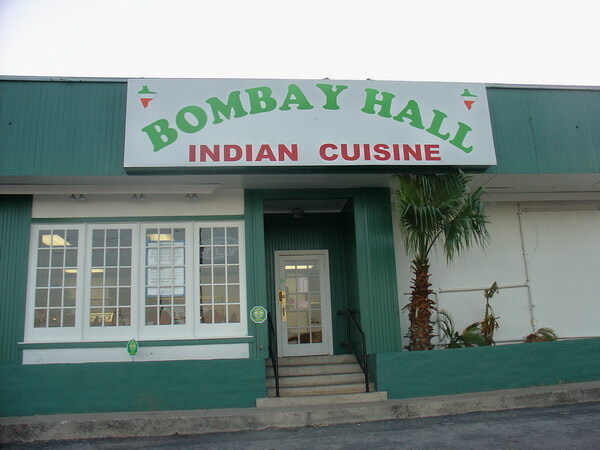 We decided to meet at Bombay Hall for their AYCE Lunch buffet because it’s right next to our campus! 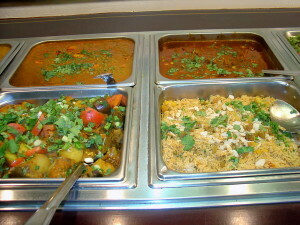 I, myself, LOVE Indian food, because the flavors are just so rich! I also don’t eat a lot of meat, so I like how they separate the meats from the veggies section. 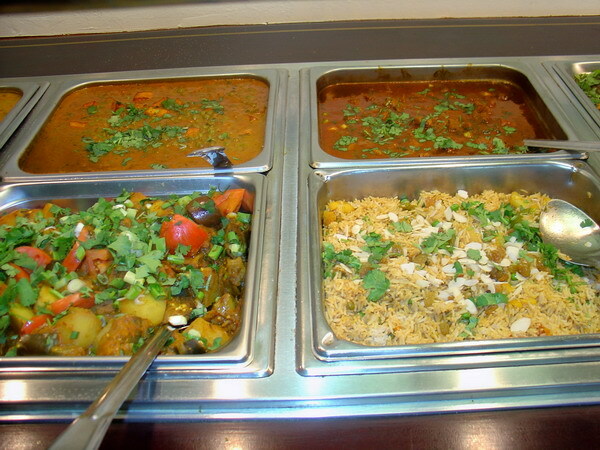 Some of the officers have never tried Indian food, so they were in for a treat! I was the president-elect my first year at RSO and now that summer has rolled in; I’m the new president of COVD at RSO. 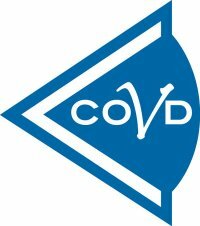 So what is COVD? The College of Optometrists in Vision Development (COVD) is a non-profit, international membership association of eye care professionals including optometrists, optometry students, and vision therapists. Established in 1971, COVD provides board certification for eye doctors and vision therapists who are prepared to offer state-of-the-art services in behavioral and developmental vision care, vision therapy, and visual rehabilitation. It’s been a while since I last saw my fellow officers from COVD RSO. After spring finals were over the new second years get to go home for break, while the new third years prepare to go on to clinic. Our officers consist of second and third year interns and it was so exciting to hear about everyone’s experiences. Every RSO member of COVD joined the club for their own reasons. When I was an undergrad I interned at a vision therapy (VT) practice, however, I spent more time shadowing the doctor when she was not doing VT. I have never gone through vision therapy myself, so I saw VT as something for kids or just something an optometrist can “specialize” in – I couldn’t have been more wrong! The meeting with the COVD officers had shattered all previous notions I had of VT and COVD. Desirae Brinkley, the president elect, shared amazing stories of life changing experiences with her patients and how her optometrist flew with her to the COVD Annual Meetings where she got to network with some COVD celebs! Sam Bohl, our Secretary/Treasurer did not know she had ZERO 3D vision until she saw an optometrist. Joseph Allen, our VP, brought in a research article about traumatic brain injury and wanted to share it with all our members–because COVD isn’t just about the clinical practice but needs active research to support it. It was like a bubbling pot of ideas from such bright minds! We are looking forward to our future plans which include hosting a golf tournament, inviting optometrists to talk about VT in their practice, and having a Skype meeting with Susan R. Barry, the author of Fixing my Gaze.